There are several forms and models of consolidation of memories. Here we look at the forms and models identified by scientists starting with the synaptic form. The synaptic form has been seen in all species studied to date. This process involves long-term memory storage, which is defined as recall of events or information for at least 24 hours. You hear, see and experience many things on a daily basis. You will only recall some of those things the next day. Research indicates that the actual act of attempting to recall information learned or events that occurred more than 24 hours ago will help to consolidate the memory. This is why it is beneficial to review the notes from yesterday’s lecture today, for example. An underlying process of the synaptic form is believed to be LTP or long-term potentiation. This seems at first glance to be a complex term, but it simply means that when information learned one hour ago can be recalled, that information has the potential to be stored in long-term memory. LTP is also categorized as a form of synaptic plasticity. 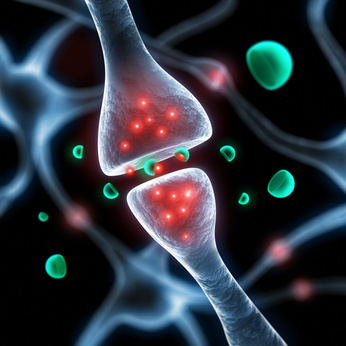 A synapse is a connection between two neurons. These connections change in strength depending on how much the connection is used. The more the synapse is used, the stronger it becomes. Synaptic plasticity is involved in the synaptic consolidation of memories; the more times a memory is used or retrieved, the stronger the synaptic connection becomes and the easier it is to recall the learned information. The process by which the synapses are formed and altered involves protein synthesis, changes in cellular membranes and activation of intracellular transduction cascades. The intracellular transduction cascades occur as a result of activation of specialized receptors on the cell’s surface. This physical process occurs in all of the cells of the body. It is only the specialized cells of the brain that are involved in the consolidation of memories. In all cells, the cascades trigger transcription factors. The transcription factors bind to specific sequences in cellular DNA to control the flow of genetic information. The purpose of controlling the flow is different depending on the cell involved. For example, the process by which the cells of the immune system learn to recognize viruses and other illness causing microbes begins with the binding of transcription factors. Will Binaural Beats Help Improve Memory and Concentration?